In reviewing GenealogyInTime‘s Top 100 Websites for 2014, one of MY most-used sites for research wasn’t on here – Old Maps Online. Old Maps Online is more of a collection of historical map collections; I’m talking AMAZING collections, most notably Cartography Associates’ David Rumsey Map Collection and Boston Public Library’s Norman B. Leventhal Map Center. If you don’t use maps in your research, why the heck not? Historical maps often provide excellent clues when tracking your ancestors; especially if they remained in one place for an extended period of time. Streets, rivers and hills; roads, streams and mountains; any of them could be named after your ancestor. Williams Drive, Pierson Hill, Carson’s Crossing, Skinner River. All named for somebody. Or a family of somebodies if several generations lived in an area. You could also check out some of those very detailed county atlases from the late 1800s and find exactly where your ancestor lived. I love aimlessly browsing through these. Given the time that these county atlases were published, many can be used as an 1890 Federal Census replacement of sorts. Maps should be one of your FIRST stops in a research project. Whether you know the area or not. I’ve discovered SO MUCH by utilizing geographical genealogy! 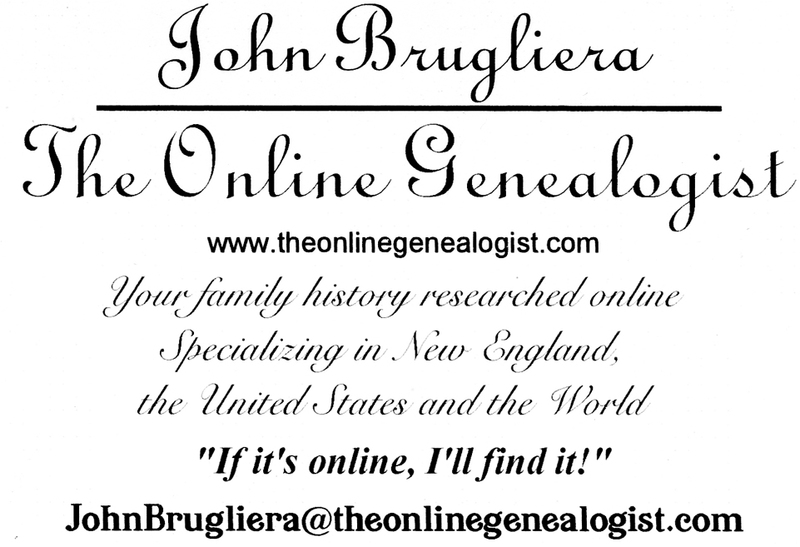 And if you’re having trouble finding your way in ANY aspect of your genealogical research, I can help to point you in the right direction!